Are you struggling to keep up with all the daily tasks associated with running your business? Do you need help but don’t have the funds to hire more staff? Would an accountant or bookkeeper help you stay on top of your finances? Are you overwhelmed trying to manage email from your customers? Are your company records and databases current? In today’s complex business world, keeping up with all the administrative things you need to do every day can be a challenge. These daily tasks, can also be a distraction, or worse, a barrier, to growing your business and staying ahead of your competition. Working long hours or spending your weekends trying to keep up with administrative responsibilities can’t sustain your business. It isn’t good for you, and it’s not good for your business. Instead, consider online outsourcing, a convenient and inexpensive alternative so you can focus your energy where it belongs: on your business. Going online to find resources may seem daunting, maybe even scary or overwhelming. But, armed with the right tools and knowledge, you can confidently find the help you need. “Need Administrative Support? Outsource That” is the ideal resource for small business owners and managers who are interested in outsourcing day-to-day administrative tasks. This book provides practical advice and details the entire process so you know what to expect, where to look, and how to work with providers. Learn about the seven administrative services that you can safely and cost effectively outsource. Determine the general qualifications you should look for in potential providers. Discover how and where to find providers to carry out each of your specific tasks. Understand what to expect from providers in each service category. Learn the project management guidelines for each type of service. 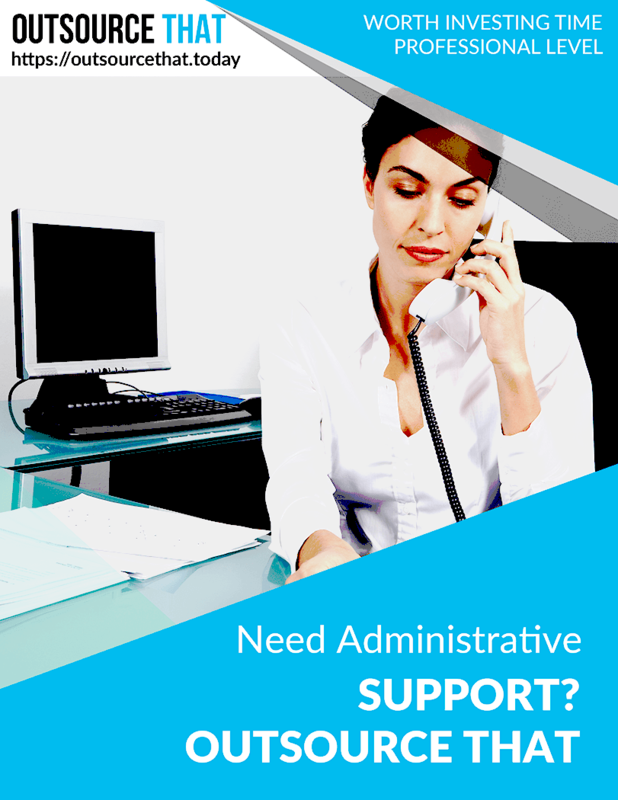 “Need Administrative Support? Outsource That” is part of the Outsource That Professional Business Library, a comprehensive resource for those who wish to make the most of outsourcing opportunities but don’t know how. Having the information you need is the first step in understanding how online outsourcing can benefit you and your business. Regardless of whether new to this concept, stay one step ahead of your competition and purchase your copy of “Need Administrative Support? Outsource That” today. These figures do not include: Title Pages, Table of Contents or Legal Statements. This product is a digital product delivered as a downloadable PDF file.